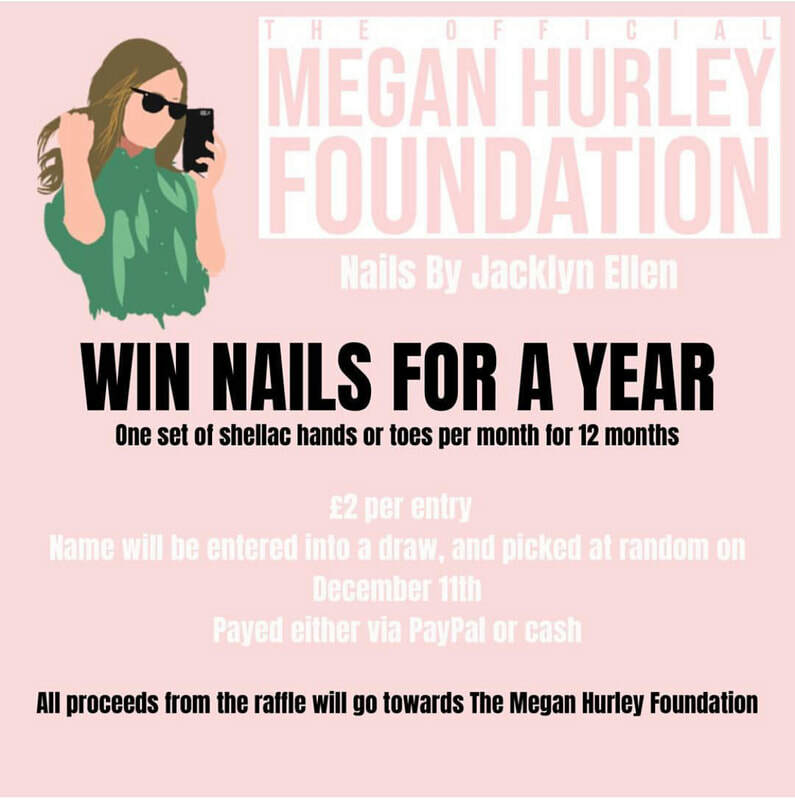 Bradley's school friend Jacklyn Ellen has hosted a charity raffle among customers of her nail technician business with the amazing prize of A WHOLE YEAR of free nails by Jacklyn! Jacklyn Ellen has raised an amazing amount of money with this simple yet smart idea! This is a great fundraising idea for anybody who has a small business! We can't thank Jacklyn enough for taking part in this fun amazing fundraiser. Congratulations to Jade Morris the winner of the free nails for a whole year! "All proceeds from the raffle went towards The Megan Hurley Foundation which aims to provide initial short-term help and support to self-employed families, unable to attend work, due to the sudden and unexpected loss of a child. It is an amazing foundation, so let’s try and raise as much money as possible! " Jacklyn was awarded her own 'Megan Hurley pin' for taking part in fundraising for our charity. 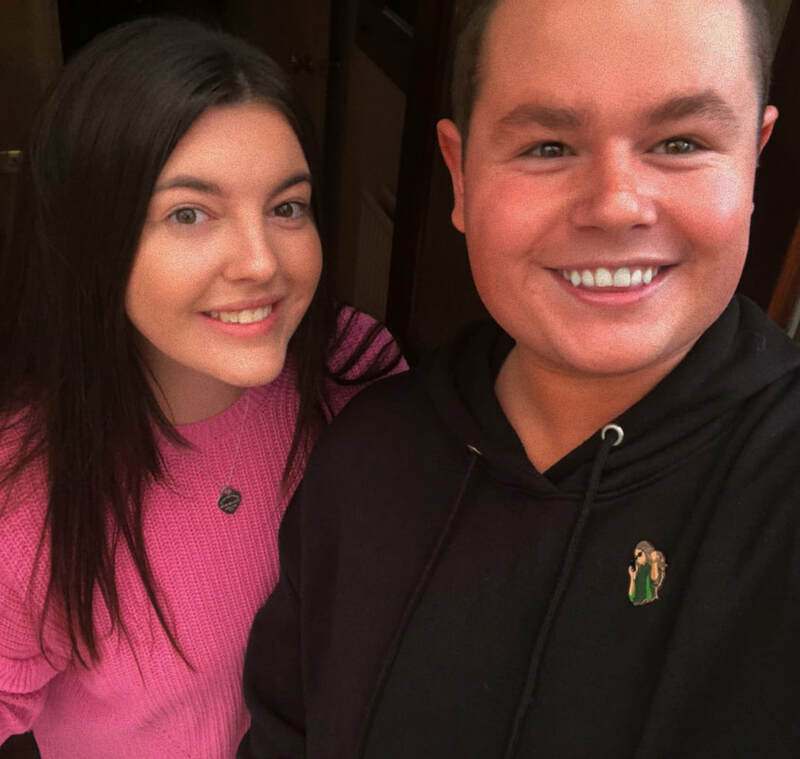 To find out how you can get involved by starting your own fundraising & have the chance to get your very own 'Megan Hurley pin' then please click here. The Megan Hurley Foundation will aim to provide initial short-term help and support to self-employed families, unable to attend work (and therefore no income), due to the sudden and unexpected loss of a child. The Megan Hurley Foundation may also provide help and support to other good cause that will benefit children.The Trustees will agree eligibility for those requiring help and support. ​If you are just interested in donating to 'The Megan Hurley Foundation' then please click here to view the multiple different ways that donating is possible. We thank you from the bottom of our hearts for continuing to support the charity, keeping Megan's name alive.